The Gullah/Geechee Rising SEA project will increase the capacity of Gullah/Geechees to bring their voice and their cultural traditions into resiliency and sustainability planning, community climate and environmental education, emergency and disaster preparedness and recovery training in order to insure native Gullah/Geechees are able to sustain themselves and remain on their land which is currently jeopardized by a number of environmentally related issues including water quality, seafood safety, and sea level rise. The Gullah/Geechee Rising SEA project will establish a sustainability equity alliance which is what SEA is an acronym for. 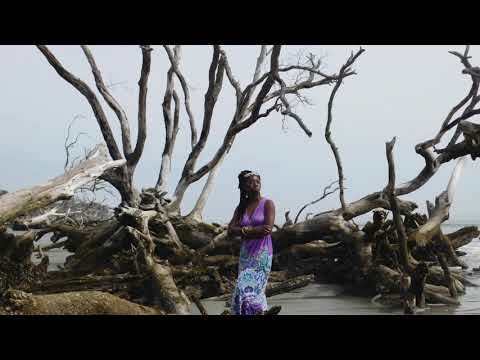 The project will be led by Queen Quet, Chieftess of the Gullah/Geechee Nation (www.QueenQuet.com). The base of operations for this alliance will be in the Gullah/Geechee Nation which is located on the Sea Islands and Lowcountry from Jacksonville, NC to Jacksonville, FL. This region is home to a unique linguistic and ethnic minority group called the “Gullah/Geechee.” Given that the Gullah/Geechee are people of African descent considered “a minority of a minority” that reside primarily in rural areas that are not economically empowered, their voice is not often heard in the on-going discussions regarding the environmental movement including in reference to climate change and sea level rise in spite of the fact that they are literally on the front of the shoreline where major negative environmental impacts are evident. The Gullah/Geechee community that has been self-sufficient and resilient in this area since the 1600s is now faced with an on-slaught of challenges to the continuation of their culture on their own land which has been passed down since the US Civil War. They are not only dealing with issues of economic inequity, but also environmental injustice which has and continues to cause displacement of Gullah/Geechee from the southeastern coast. For those that remain there, they are literally on the front shoreline of climate change and sea level rise. During the 1950s, a proliferation of gated areas began on the Sea Islands which started on-going displacement of Gullah/Geechees from their homeland and shoreline overbuilding. This also brought about extreme taxation of property and the criminalization of cultural heritage traditions including fishing, farming, and gathering of natural supplies for crafts. There has also been the loss of access to critical and sacred coastal areas. The traditions conducted in these areas allowed Gullah/Geechees to sustain themselves for centuries. However, they are now in jeopardy due to a lack of equity in planning and policies in the region. To that end, the Gullah/Geechee leaders have begun the Gullah/Geechee Rising SEA in order to insure that they can continue their cultural legacy.. As they say, "We binya and ain gwine nowhey!"